It may be best to describe Nina Bagley as a poet whose medium is jewelry, or possibly as a multimedia artist who works in metals, found objects, and words. The Cullowhee artist calls her necklaces, bracelets, and pendants “narrative jewelry”—works that are kept close to the surface of the skin to remind the wearer of feelings held deep inside. Almost talismanic in spirit, her pieces include objects found in nature and are made intuitively to evoke memory and emotions rather than simply to adorn. 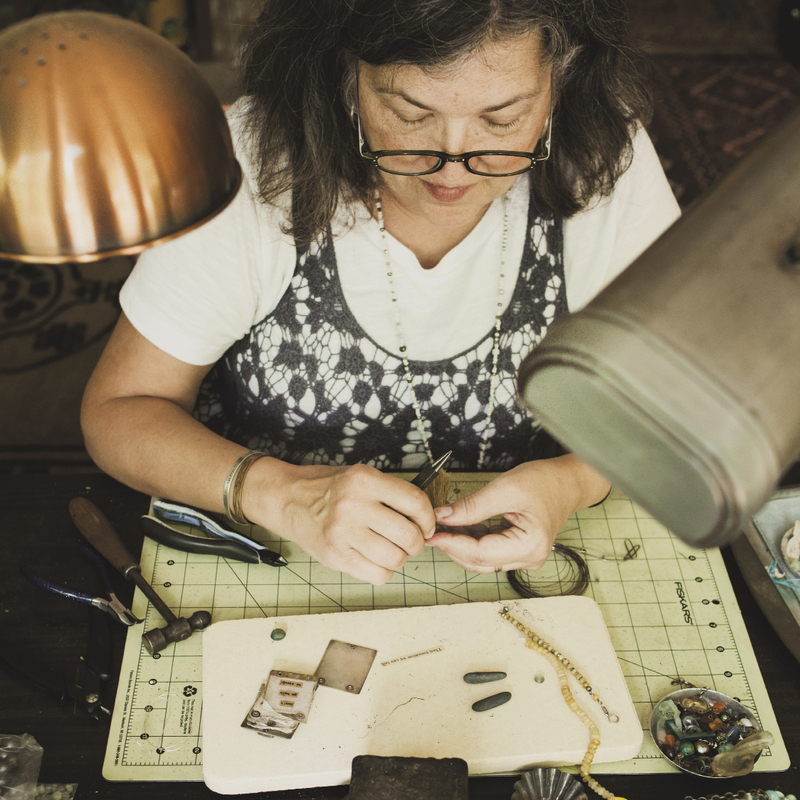 For a while, Bagley says, she collected antique found objects, such as old piano keys and buttons, but now, living in rural Western North Carolina, she finds what she needs in riverbeds and open fields. There was once a dump upstream from the river near where she lives, and pieces of water-polished glass now turn up and make their way into her jewelry. “There are treasures all over my studio table,” she says, including shells, sticks, and shards of pottery. See more of Bagley’s work at ornamental.typepad.com and purchase it at www.etsy.com/shop/ninabagley.